Several people have problems finding a professional cleaning service for their home simply because they do not know where to look for information to help them make good decisions about which one is best for them. They key to look for a professional maid cleaning service that satisfies the needs of your household. How you do that is easier than it may seem. 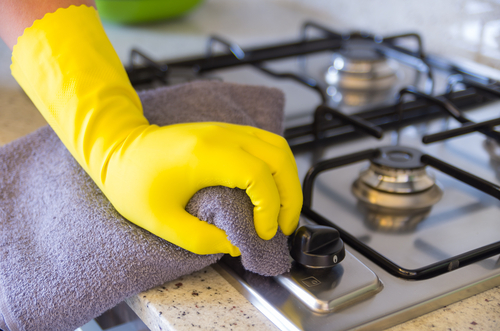 Here are some suggestions of what to look for when you undertake your search to find a reputable cleaning service. Before you conduct your search, you should first identify the specific needs of your household and all members in the house, including your pets as even they may bring to bear unique cleaning needs that a maid service will need to address. When you conduct your search, you will want to be sure that the maid cleaning service offers what you are looking for. Don't feel that you have to compromise. Determine the services that are closest to you and make a list. Then the real work begins: do an internet search on each one, then talk to friends, family and colleagues to find out if anyone in your social circle has ever used any of the services you have identified on your list. You may even want to contact your local Better Business Bureau to find out if they have any information on the services captured on your list. Keep in mind that if you are choosing a professional cleaning service agency, as opposed to having someone simply come in and clean your house like an independent contractor you have more resources at your fingertips to check out their reputation. For one thing, you are more likely to find testimonials about an agency-run service. In addition, most agency-run cleaning services offer a wealth of information online that an independent may not. Finally, you are more likely to find references to an agency-run service. Next, you will want to get information on the hiring practices of the companies you are looking at. Information on whether or not the company runs background checks on their employees is important to note as you conduct your search. If the company does not do this, it should raise a red flag. You will also want to find out if the companies on your search list are bonded. This means that you are protected should there be any issues relating to theft or loss in your home. Also, you should find out if the company's employees are insured so that in the event a maid gets hurt while in your home, the company's insurance will cover them. This is as much protection for you as it is for the professional cleaner in your home. While some cleaners may expect you to provide all the cleaning supplies and equipment, there are others that will not require this. Most agencies will bring their supplies and equipment, but you can ask the company to provide you with information about what they will be using to clean your home before they begin. Before you sign any contract with a maid cleaning service, be sure to read the contract thoroughly. It's important to know what you are getting a return on your investment so that there are no surprises later on. Have you ever been bothered about tackling the very tiring and sometimes stressful task of cleaning your indoor and outdoor amenities? Have you even considered seeking help from professional home cleaning companies for you to leave dealing with dirty household chores to them? 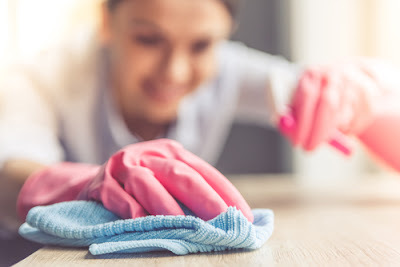 If you still insist that you don't need the help of a good cleaning staff because you're like superhuman and you can deal with tasks here and there with flying colours and can still come up to social gatherings well-groomed and put-together, try to take things a little slower. Think about the many healthy benefits of less stress and more rest time for you after a day full of grind and tear at work. First of all, your Housemaid should be fully equipped and trained well regarding their job. 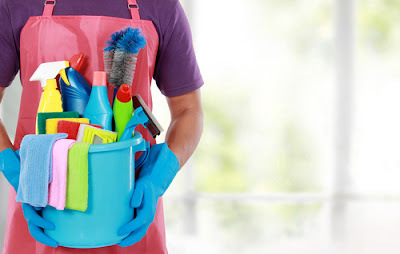 It's not always about growing up in a tidy-kept home with practical and at times stringent parents when it comes to housekeeping that counts, but more importantly, they should be trained very well in cleaning other people's houses plus handling things inside and outside the house with utmost care. Keep in mind that these hired maids are alright with making cleaning appointments during a given period, and whatever their clients choose, whether it's once a week, every fortnight, or sometimes in a month. Aside from having a maid or cleaner on a regular basis, keep an eye on firm and good professionalism, because that's one of the guarantees when you opt for home cleaning companies. They have employees who exude proper decorum and grace under pressure. Wouldn't it be easier to work with these kinds of people? Of course! Try to consider the price rates involved for the entire cleaning service, House Cleaning companies often vary in their price range, depending on their quality of serving their customers, or it also depends on the special offers they give to their clients. Try to find a company that may well suit your budget but is worth the price. Don't forget about insurance for liabilities when you go out hunting for a good house cleaner. House, no matter how small or how simple it may look like is an asset and a liability as well. And consider the fact that there are things inside your home that might be worth a fortune -- for instance, carpets and other heirloom tapestries that may become even more expensive as time goes by. Have fun hunting for the best and quality home maid that are as competitive as they are priced! Then what you need to do is to relax the whole day and the night away or sip wine while you chill out on scorching summer nights.